Books by Dr. Boyle and a wide variety of yearbooks are also available for purchase at the circulation desk during regular library hours. ​The Book Nook, located on the lower floor of the Burke Memorial Library. The Book Nook is open to the public and has everything from popular fiction, children’s books, cookbooks, biographies, classsics, and coffee table books as well as some audio books and DVDs–all priced to move. Book donations are being accepted at the outside Book Nook drop at the back receiving door of Burke Library or at the Circulation Desk of Burke Library. 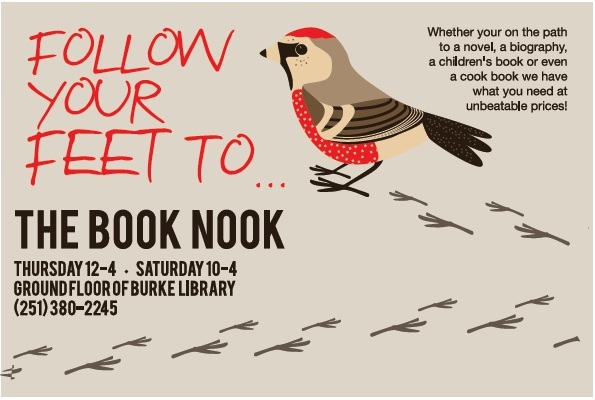 Voted Best Bookstore by Mobile Bay Monthly readers, the Book Nook is run by the Friends of the Spring Hill College Library and all sale proceeds support the Burke Memorial Library. Until Easter, our specials are in the basket! Choose an Easter egg from the basket, and your special is inside for your entire order! Additionally, for the month of April, hardback fiction is buy one, get one! The Book Nook will be closed on Saturday, April 20. From the staff and volunteers of the Book Nook, we wish you a Happy Easter! Visit the Book Nook and meet our Manager, Rachel Merritt! 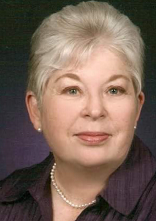 Rachel worked in the Burke Memorial Library for several years after she retired from Mobile County Schools in 2000. Her favorite authors (to name a few) are James Patterson, Ace Atkins, and Dana Stabenow. She loves a good mystery or thriller! Browse the mystery and adventure offerings in the Book Nook, and wish Rachel a happy Badger return to campus!